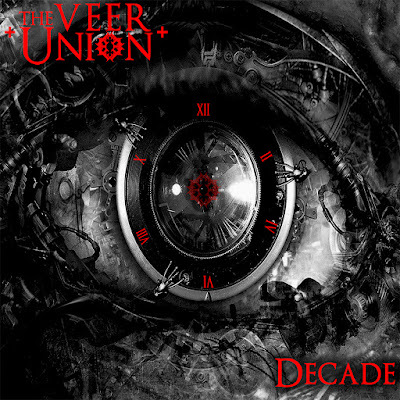 If you consider yourself a fan of modern rock, then The Veer Union should already have long been a band in your musical lexicon. No, they’re not up-and-comers anymore – hell, they’re four studio albums and a decade into their career, so if you’re not familiar with the Canadian rockers, there’s no time like the present. Enter Decade, aptly titled for all of their time spent hitting the pavement as a cohesive unit. Frontman Crispin Earl is an unheralded star in the rock scene; his emotive heart-on-sleeve delivery helps make Decade what it is. Add a vociferous assortment of stomping riffs and spiraling sky-high hooks (“Defying Gravity,” “We All Will”), jilted staccato guitars (“Watch You Lose,” “The Unwanted”) and weighty and incredibly well-crafted ballads (“You Can’t Have It All,” “I Said”) and this record has all of the ingredients it needs to become worthy if your time. There's also no shortage of impactful heavy hitting cuts coated in a radio ready luster across Decade either (“Make Believe,” “Heart Attack”). In short, what you have here with Decade is a good looking rock record.